Preschool children are continually seeking to expand their horizons, their understanding of their surroundings and their boundaries. Pathfinder helps children do just that with fun play activities that encourage discovery and exploration. Children like to climb in different ways. Some are more daring and adventurous than others, so we included a Vertical Ladder, Rock Wall Climber and Transfer Steps to create some climbing choices. 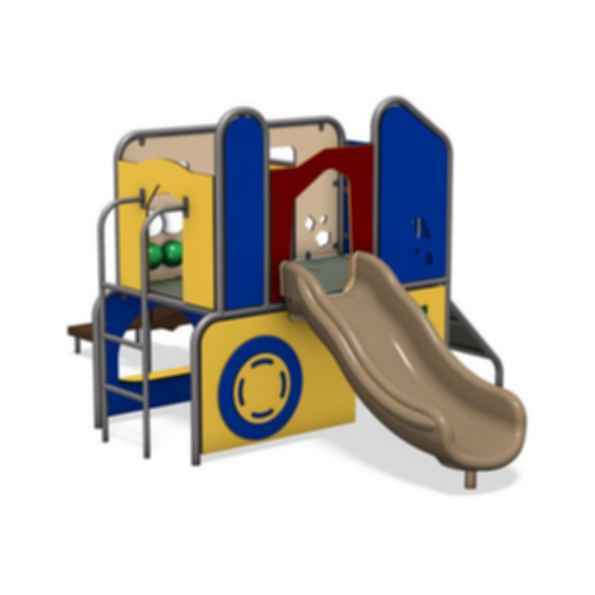 The 3-foot Zip Slide gives preschool children the fun and benefits of sliding play at a size that is just right for them. 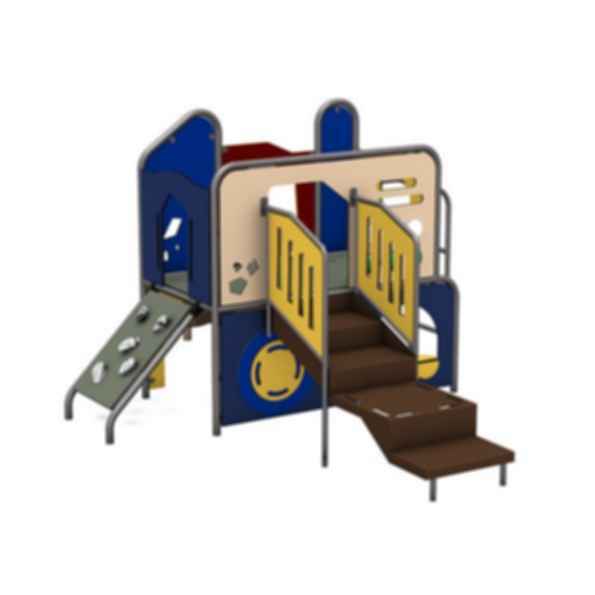 There are plenty of openings, portals and windows for looking and crawling through, as well as a fun Storefront Panel below deck for imaginative, creative and cooperative play.